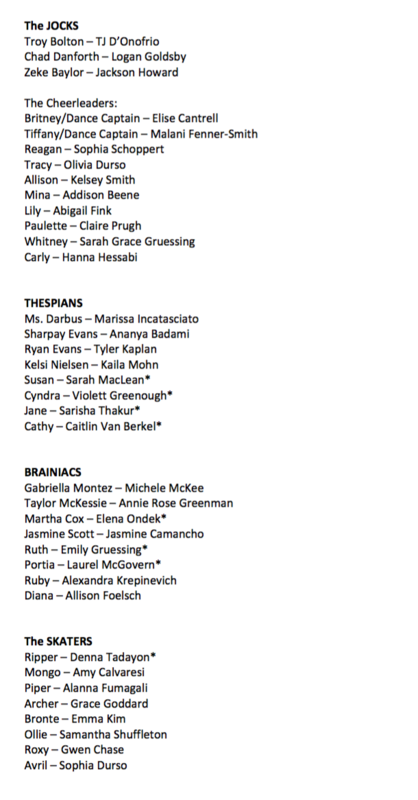 Congratulations on two wonderful days of Auditions & Callbacks! You made it so challenging for us to choose! 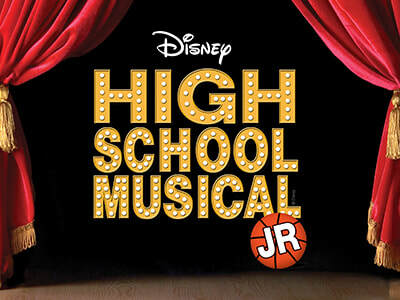 ​Congratulations to everyone involved in High School Musical! * - Students with a star will have a vocal solo. Ms. Ramacci will discuss these with you during rehearsal. There may be additional solos/roles that will be determined during this process and will be cast by Ms. Ramacci & Mrs. Crawford. All Technical Roles will be discussed in camp on Wednesday (July 25).